The year was 1991 and the policy at USAirways, Inc. for pregnant pilots was to take a disability leave of absence from the first they knew of their pregnancy. Rhonda took leave in 1991 and with 9 months on her hands she found time to do things she had wanted to do for awhile. She proceeded to get her flight instructor rating renewed. She skied the slopes of Vail, CO with Gail Tworek Martin and Gina Grisofi (two other female pilots on leave under the same circumstance). She heard an “Old Wives Tale” that… beer is good for the breast milk. When she heard this she figured home brew would be better and started brewing her own. After a couple years of home brewing, Rhonda wondered why she shouldn’t start making wine. She and Michael enjoyed wine together in the evenings and touring vineyards and wineries together. They planted 18 grape vines in their backyard in Fremont with the intention of learning how to make wine. Before harvesting their backyard crop they discovered Livermore Valley during the Harvest Festival in 1995. They saw a vineyard property for sale and determined they could purchase this property in the Bay Area while still working/commuting to their day jobs in San Francisco and Sunnyvale. Michael continues to commute to Sunnyvale and helps during harvest and everywhere else year round. Rhonda commuted to San Francisco Airport until she took a leave of absence in 2001, taking up wine making full time and resigned from USAirways in 2006. 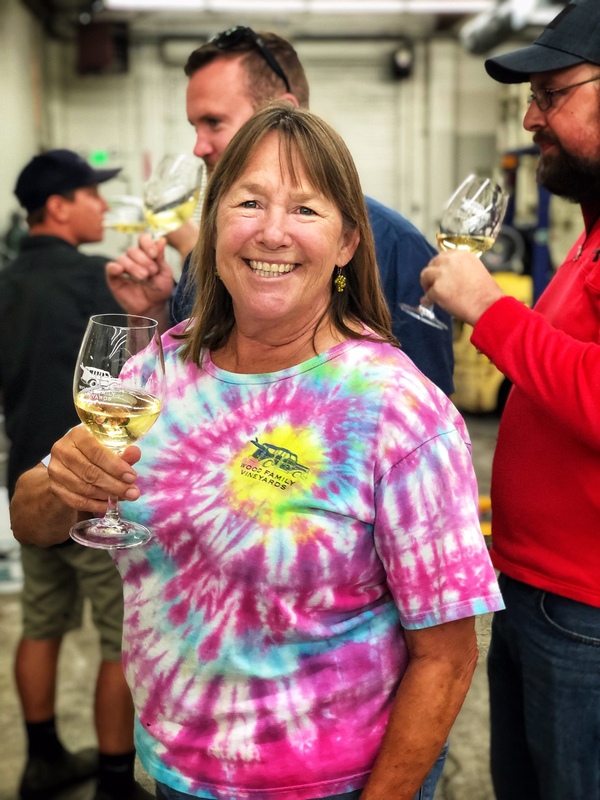 Rhonda continues to further her education in the wine industry by taking extension courses at UCDavis, courses offered at laboratories, other wine classes offered around, discussions with winemakers and reading industry magazines.